Celebrate Independence Day and Help Support the Saunders Volunteer Fire Company! 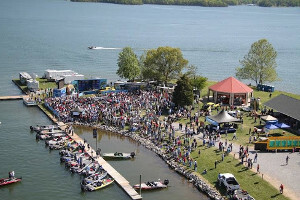 The event is hosted by Parkway Marina with live music and fun activities taking place on The Point at Parkway Marina! It's a beautiful place for an evening of celebration and a great place to view the fireworks display over the water! The Worx takes the stage at 5:30pm. The YMCA Kid's Zone opens at 5:30pm - Only $5 per child unlimited play! All funds are donated to the SVFC and participating non-profits! Fireworks begin shortly after dark. In the event of rain only the fireworks display will take place on July 5th. To raise funds for the Saunders Volunteer Fire Company! All parking, admission and sponsorship funds generated by the event go to the fire company. Kids age 12 and under are free*! ** Please note that if you pay to park at locations other than the official event designated parking locations, the fee may not be contributed to the SVFC! Blankets, chairs, excitement and enthusiasm! Pets (only service dogs are allowed). If you are watching from a location other than Parkway Marina, please consider making a donation to help support the community and the event itself. If you are watching from an area business, please help spread the word that business sponsorships for the event are available and greatly appreciated! If you are watching from the water, the SML Water Safety Council requests that you travel at "no wake" speeds in the area between Parkway Marina, Bernard's Landing, Vista Point and Craddock Creek starting around 8:30pm. The Saunders Volunteer Fire Company is an All Volunteer Non-Profit Service Organization that works tirelessly and around the clock to keep the Smith Mountain Lake area a safe place to work, play and live. A Spectacular Independence Day Fireworks Display Over the Water! One of the lakes most anticipated events! Repeatedly voted the Best Local Band! A Beautifully Restored 1954 Carousel! On The Point at Parkway Marina - Your host for Independence Day!